Spring training is just a few weeks old, but already we’re seeing prospects stand out in camp. Here’s a look at five position players that are making an early impression. 5. Paul DeJong. As a 23-year old former college player, DeJong entered camp with expectations. So far, he’s lived up to every one. A third baseman in A-ball, the Cardinals transitioned the mobile fielder to shortstop and second base in Springfield (AA) to expand his skill set. 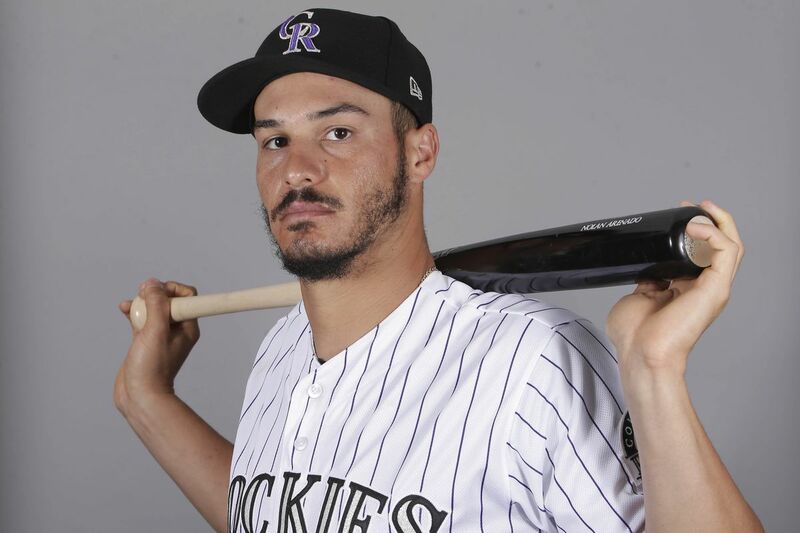 The exposure was limited, but the now-utility player handled his chances well and has seen increased time in the field during spring training as a result. A polished all-around player, DeJong is likely the closest to major-league ready of our group, but with both Greg Garcia and Jedd Gyorko on the roster, his path to St. Louis is a bit congested. Still, if he continues to hit in camp, and in a likely Triple-A assignment in Memphis, he’s just an injury away from the big leagues. 4. Magneuris Sierra. Billed as the most likely player in the St. Louis system to develop into an impact player in the majors, Sierra is still young. But at just 20 years old (he turns 21 April 7th), at least one coach in a competing system believes he already looks ready to fill a spot on a 25-man roster. He won’t, at least not this year, but his time is coming. His bat looks dynamic, easily adjusting to pitches all over the zone – and with pop – and his play is smooth and quick. Easy speed and a doubles swing should have him legging out triples in Busch Stadium by 2019. Don’t be surprised if he starts for the Cardinals in center field on Opening Day as soon as 2020. He sits at number four simply because, among our five picks, he’s likely the farthest from the major-league level. But his arrival is the most heralded of the group nonetheless. 3. Patrick Wisdom. 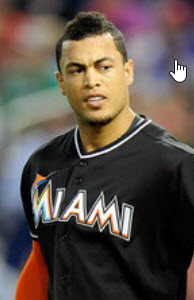 Signed as a third baseman in the first round of the 2012 draft, Wisdom is, remarkably, still a third baseman. 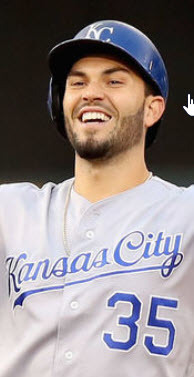 That’s noteworthy because the other two early round third basemen drafted alongside him that year – Stephen Piscotty and Carson Kelly – have since found other paths to the big leagues. Piscotty as the starting right fielder in St. Louis and Kelly as the heir apparent to superstar catcher Yadier Molina. Only Wisdom stuck at the hot corner. His bat seemed stuck as well. Since hitting .282 in short-season ball at Batavia after the draft, Wisdom has hit most often between .231 and .239, dropping as low as .215 during a full season at Double-A Springfield in 2014. At one point, the organization even mysteriously pulled him from the roster and sent him back to Florida to retool a failed swing in the Gulf Coast League – that’s rookie ball for a first round draft pick almost four years after his draft year. The stint was brief, but the message was clear. Wisdom was on the edge of irrelevancy. Oh, what a difference an offseason makes. After cracking a home run in the Cardinals’ spring training game against the Marlins Tuesday afternoon, Wisdom is now 4-for-8 with three home runs and just one strike out in his last four games. And he seems to be picking up steam. Since spring games started the 25th of February, Wisdom received just six total at-bats through March 3rd. 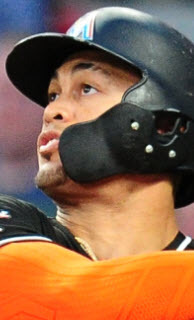 But after hitting a pinch-hit, game-tying home run on March 4th, he’s walked to the plate seven more times over the next three days, including his first starting assignment of the season March 5th, the day after his well-timed bomb. Despite struggling early in his career, Wisdom’s power may be opening some eyes. 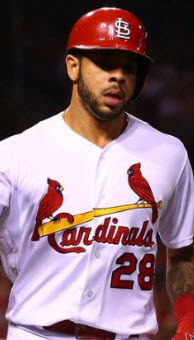 Only time will tell if he has strength enough to shove his way into the Cardinals’ long-term plans at third base. 2. Harrison Bader. A third round pick out of the University of Florida in 2015, Harrison Bader was on no one’s radar. Not really, anyway. Maybe a few baseball insiders and St. Louis scribes knew what the Cardinals had when they drafted him, but his meteoric rise through the system came out of nowhere for the rest of us. We’re certainly paying attention now. In two years of professional baseball, it took three leagues to push Bader’s batting average below .300 (.283 in Double-A Springfield last season) and four to finally force his slugging percentage below .400. That’s low-A ball to Triple-A and the Arizona Fall League in less than two years. And he’s just 22 years old. With newcomer Dexter Fowler in St. Louis for the next five seasons, there’s no rush for Bader, an outfielder who can play center when needed, to get to the big leagues. 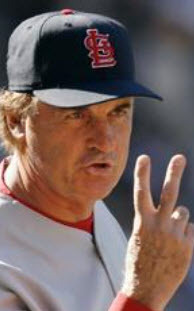 But when he’s ready, look for the Cardinals to make room for him. If Magneuris Sierra is the eventual successor to Fowler in center field, think of Bader as a potential back-up plan if Randal Grichuk can’t improve his contact rate. If Grichuk falters, don’t be surprised to find Bader breathing down his neck as early as August of this year. His spring performance is revealing a strong hitter that may be closer to big-league ready than many expected. 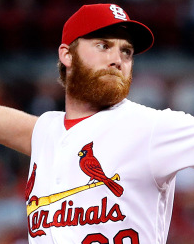 Of course, with a crowded outfield that includes future number three hitter Stephen Piscotty, the impending stardom of Grichuk’s mighty swing, and the heralded Dexter Fowler hitting leadoff, Bader could also be one of the Cardinals best trade chips in July. If his stock continues to rise in Memphis, his name will come up often (see: James Ramsey, 2014). 1. Jose Martinez. At 28 years old and a 10-season veteran of the minor leagues, it’s hard to call Jose Martinez a “prospect” any longer. He is, however, swinging his way into a fifth outfielder spot on the St. Louis Cardinals’ Opening Day roster. In nine games, Martinez has collected seven RBIs and slugged three home runs while striking out just twice this spring. 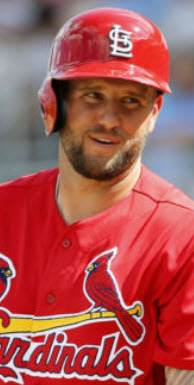 His .350/.480/.900 line is making it hard to leave him off the roster, and his ability to play first base in addition to a corner outfield spot gives manager Mike Matheny added flexibility, an important factor when considering Matt Adams‘ previous struggles against left-handed pitching and Matt Carpenter‘s already aching back. But perhaps most of all, Martinez could allow the Cardinals to leave prospects like Bader in Triple-A for a full season of critical development while also avoiding a tepid free agent market for back-up outfielders. He won’t win a starting job, and with exciting bats behind him, he’s likely in line for a one-year performance in St. Louis, but if he continues to hit against major-league pitching, he could prove to be the perfect gap-filler the Cardinals need until others can arrive from Memphis next year. Think Jeremy Hazelbaker 2.0 but without the sheer number of at-bats and opportunities to impact the season that Hazelbaker enjoyed in April last year. And with more power and less speed. And more of a servicable glove in the field versus an at-times plus defender in Hazelbaker. And he provides right-handed power off the bench, making him an excellent complement to Adams’ left-handed bat in pinch-hitting assignments. Okay, so he’s not much like Hazelbaker, but he is old and he’s a backup outfielder. At least they have that in common, right? Oh, and like Hazelbaker, Martinez is going to make the Opening Day roster when the Cardinals break camp and head north at the end of March.